Right after Charles’ suicide, the only way I got through those first few weeks after my family left was to remind myself that it will never hurt as much as it did when we got that unbearable news. A few months later I thought “getting better” or moving forward would mean I wouldn’t think of him every day. Then that thought would frighten me. But I do think of him every day and now I know I always will. 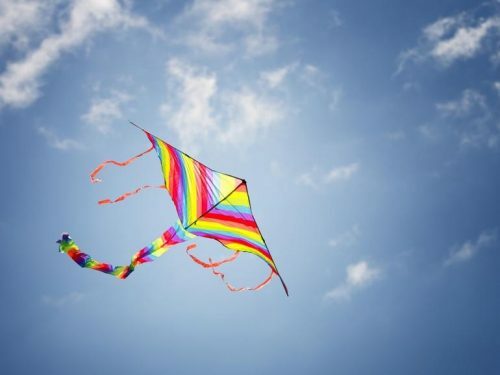 There are so many times I feel like a kite on a tight string in a high wind flapping furiously in circles–ready to snap any moment. What am I here for? What does my life mean? Where am I going? Does what I did yesterday even matter? Like I said, flapping in the wind, circling the drain, swimming upstream. I’m tempted to run towards shiny objects because my heart hurts and I’ll do anything for a distraction from that. Like Charles, I crave to be around people and friends but I realize it’s not always possible. I try to stay focused and intentional so I don’t feel like the circling kite. For that to happen, I have to remind myself of what I am grateful for to pull me back in sync. Today I’m grateful for Richard–his ability to ground himself and follow his dream as a filmmaker. Wow Amy. Thank you. Brilliant narrative here. I’m sympathetic that you still struggle. Despite Charles’ death, you will always have the memories and history of Charles. Your “village” is here for you for any support. Ditto to all that. And I know we’re not supposed to be codependent but I gauge my well being by how well my 20 yr old daughter is doing since her only sibling Daniel killed himself. She’s doing amazingly well after crawling out of the depths this journey took her. She’s an inspiration to me.